Neil Gaiman: "This was what lay beneath the thinly painted scrim of reality." Okay, so Neil Gaiman isn't exactly an unknown author. 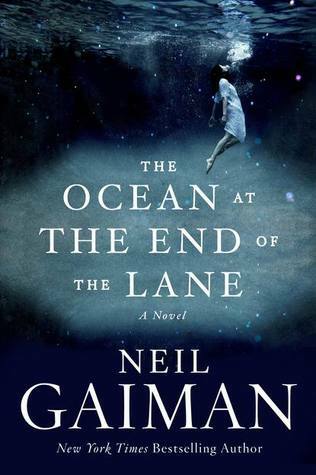 However, I was in the mood to write a blog post and the last book I read was The Ocean at the End of the Lane, by Neil Gaiman. Therefore, you get a post about a well-known author. The Ocean at the End of the Lane is the kind of book where you're left a little off-balance. The lines between fantasy and reality are blended together so beautifully, you're not entirely sure what to think. It tells the story of a man's childhood, during a period of time where it was strange and fantastical and scary. Put simply, it is a story about a memory. I really enjoyed this book. So much so, in fact, that I read it in one night. It's a fairly quick read, with language that is easily digestible. However, I should mention that my mother (who self-admittedly is not much of a fantasy reader) found the book a little fulfilling. If you loved Coraline, you will probably also love this. If you're not in the mood to get emotionally invested in a darker tale, or you prefer your books with a strong sense of reality, then you should probably skip this one. Denise Kiernan: "The world may have changed, but she wasn't about to." So, in a rare twist, I read a non-fiction book. 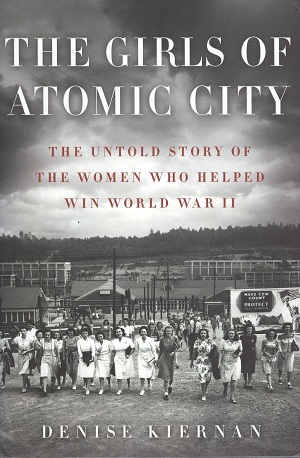 I first heard about The Girls of Atomic City: The Untold Story of the Women Who Helped Win World War II because Denise Kiernan, the author, appeared on The Daily Show. I've always had a bit of a fascination with The Manhattan Project and the general time period, so I decided to pick it up. The title is pretty self-explanatory. The book mostly tells the story of Oak Ridge, Tennessee, which was a secret factory town. No one working there knew more about what was going on than they had to. They just knew that they were helping the war effort. The book also occasionally tells other interesting anecdotes about the time period, generally focusing on women. This book was a pretty quick read. It certainly didn't get dense the way many non-fiction books can. It often felt like I was reading some sort of fifties chick-lit, though it was definitely a bit more intellectual than the average beach novel. There were small filler chapters that filled the reader in on some of the science behind the discovery of atomic power, which occasionally got a little tiring to read. However, I'm sure that someone more interested in that side of things would love them. "I just wanted to drop you a note and let you know that I absolutely loved The Girls of Atomic City. I don't usually read non-fiction, but I couldn't put this book down! It's always awesome to hear sides of a story that aren't well known. Thanks for writing such a great book!" I have a ton of books I've read and haven't posted about... maybe I'll get around to that someday! Jeanette Winterson: "...like all children, adopted or not, I have had to live out some of her unlived life." So, I know I haven't written in awhile. Since the last time (October, apparently) I've read quite a few books. I just haven't found the time to write about them. Hopefully I'll start making time to post a bit more! However, I say that almost every time I start again, and I usually get too busy. We'll see. Anyway, onto the book! Why Be Happy When You Could Be Normal? 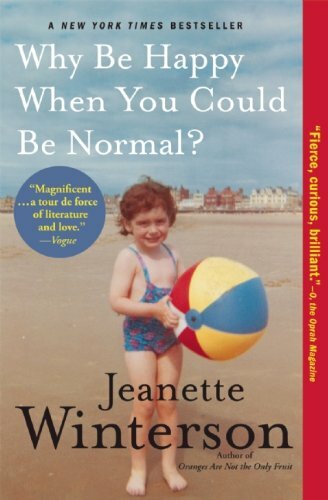 (Amazon) by Jeanette Winterson is a memoir, which is a change of pace from my usual books. Jeanette Winterson was adopted by a Pentecoastal family. Her story is not a very happy one-her adoptive mother was a religious zealot whose behavior became worse once Jeanette revealed she was a lesbian. Jeanette Winterson also wrote Oranges Are Not The Only Fruit, which the inside cover of Why Be Happy When You Could be Normal? claims is "considered one of the most important books of contemporary fiction." However, I've never read or heard of Oranges Are Not The Only Fruit (oops). Why Be Happy When You Could Be Normal is a very interesting read. It can get a bit intense at points, but I think the overall journey is worth it. It's definitely interesting to see a different take on adoption-often adoptive parents are glorified as amazing, perfect people. It rarely occurs to people that an abusive person might want to adopt a child. "I just wanted to let you know that I recently read Why Be Happy When You Could Be Normal? and I really enjoyed it. You have a wonderful writing style and your story is very inspirational. Thank you for sharing it with the world!" Anyway, that's all for now. We'll see if I manage to post more consistently. Martin Millar: "Fairy vomit is no doubt sweet-smelling to humans." This book was actually a delightful surprise. I was expecting something similar to Neil Gaiman's usual work-but instead I got something much closer to Terry Pratchett. 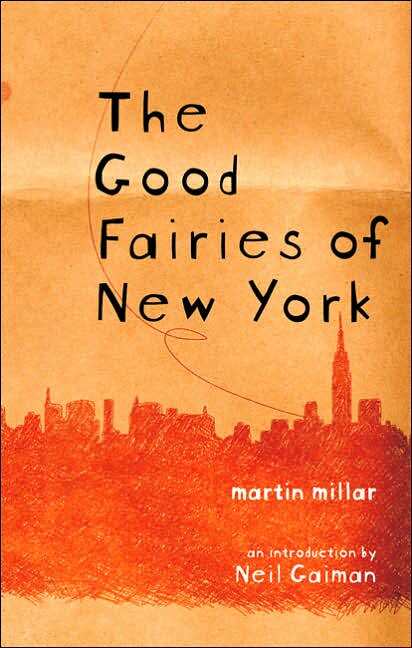 The Good Fairies of New York is irreverent, light hearted, and refreshingly original. Definitely a great read. "I just read The Good Fairies of New York, and I wanted to send you a quick note to let you know that I absolutely adored it. It was really unlike anything I've ever read before. I'll definitely have to check out some of your other books!" I actually have another book to write about, and am in the process of reading a couple of more, so in theory, there should be more posts soon. Jasper Fforde: "Sorcerers are easily distracted, and letting them drive is about as safe as as waving around a chainsaw at full throttle in a crowded disco." Well! It's been awhile. I was on a bit of a reading drought, but I'm back! 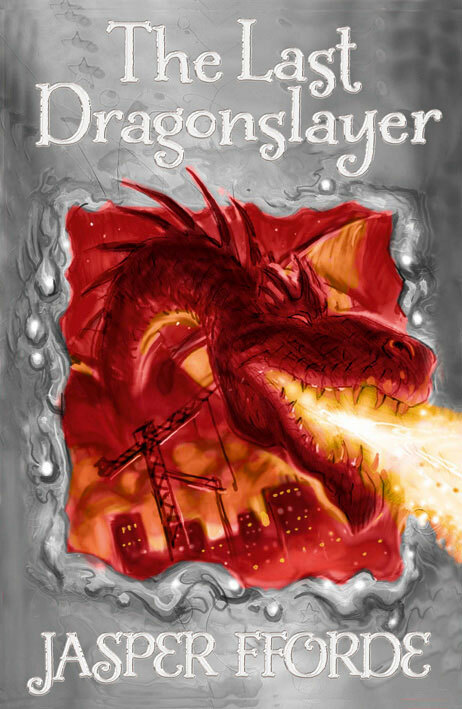 The Last Dragonslayer by Jasper Fforde (Amazon) was the perfect book to pull me out of my slump. Now, this isn't the first time I've written about Jasper Fforde's work. Check out my very first post, about his book Shades of Grey. He also replied to me, and you can read that here. Anyway, onto discussion of The Last Dragonslayer! This book is, in true Jasper Fforde style, hilarious and original. It combines traditional fantasy-dragons, magic-with modern living. The main character, Jennifer Strange, runs an employment agency for Sorcerers and drives a Volkswagon. Magic is struggling to find a place in the modern world, where modern conveniences have taken over. If you are a fan of satire, fantasy, Jasper Fforde or dragons, you should definitely check this book out. There is also a sequel, The Song of the Quarkbeast, which I will probably check out soon. Because I've already written to Jasper Fforde and gotten a reply, I decided not to this time. However, he will be on tour in the US soon, so if you're interested in perhaps meeting the man yourself, check out his tour dates here. It's always nice when authors take the time to respond to what I send them. Alethea Kontis somehow managed to find this blog and comment on it! I thought that was pretty cool. So, if you're interested, just check out this post. Next book: Nothing Daunted by Dorothy Wickenden. 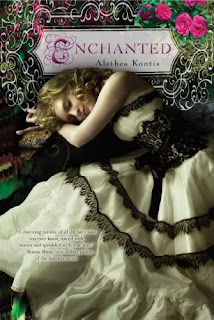 Alethea Kontis: "Then quit dwelling on other people's stories and make up some of your own." I described this book to one of my friends as "The Frog Prince on steroids." Interestingly, it could also be described as "Cinderella on steroids" or "Jack & the Beanstalk on steroids" or many other fairy tales on steroids. You see, Enchanted by Alethea Kontis (Amazon) is one of those books that is the result of taking a bunch of fairy tales and mashing them together until a brand new story comes out. I tend to like those sorts of books. If you don't, then stay away! The story is about Sunday Woodcutter, youngest of seven sisters (yes, they're all named after days of the week), daughter to the youngest of seven sisters and youngest of seven sons. Such a huge amount of sevens can only mean one thing: Sunday is magical and fated to greatness. However, all she knows is that she's fated to be "blithe and bonny and good and gay," for all of her sisters have followed the Monday's Child nursery rhyme predictions (Wikipedia, for if you're unaware of the rhyme). One day, Sunday meets a frog in the woods, and from then on her life is never quite the same. Definitely a fun little tale, though not especially complex. There were a few parts I found confusing-it seemed like characters found out the same information twice, needlessly. However, overall I completely enjoyed myself. Plus, it's a another book with a pretty dress on the cover (my second in two posts!). Who could resist? "I just finished reading "Enchanted" and I wanted to let you know that I really enjoyed it! I have a soft spot for reinvented fairy tales, making your book a really fun read for me. Good luck with your future writing!" I have lots more books to read, so hopefully there will be another post soon!